Fantastic to see over forty people turning up to Radyr Library to litter pick on 15 January. 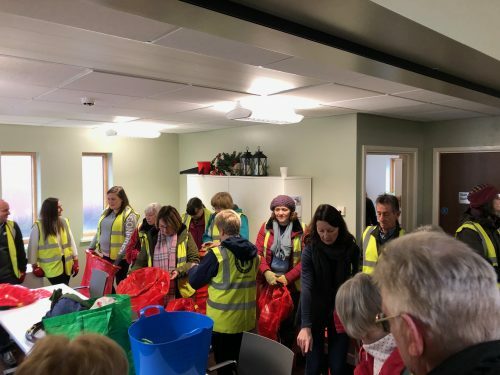 Suzanne Baskerville from Cardiff Council had done an amazing job of publicising the event and Gareth Davies from Keep Wales Tidy came along to add his experience and knowledge to the volunteers. It was a very successful morning and lots of red rubbish bags were filled. Suzanne will be back on 12 February and all volunteers will be most welcome! 10:00-11:30, starting at Radyr Library.